Industrial process control often involves the regulation of fluid flow. There are almost uncountable types and variants of flow control valves, each with a particular set of attributes that can make it the advantageous choice to meet certain applications. 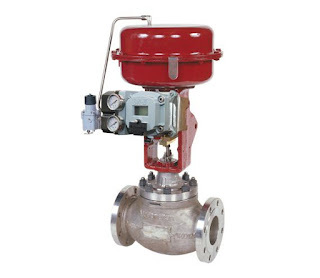 Globe valves are characterized by the change in direction of fluid flow as it passes through the valve and the plug or disk positioned in an opening through which fluid must pass. 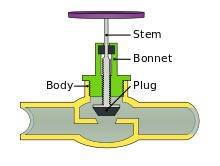 The plug is connected to a stem extending to the exterior of the valve body through the bonnet. Movement of the stem will reposition the plug in relation to the opening, providing a successively larger or smaller opening area through which fluid can pass. When flow throttling capability is the overriding concern for an application, a globe valve could be a good candidate for consideration. Share your flow control challenges with product specialists. Combining your process knowledge with their product application expertise will produce effective solutions.